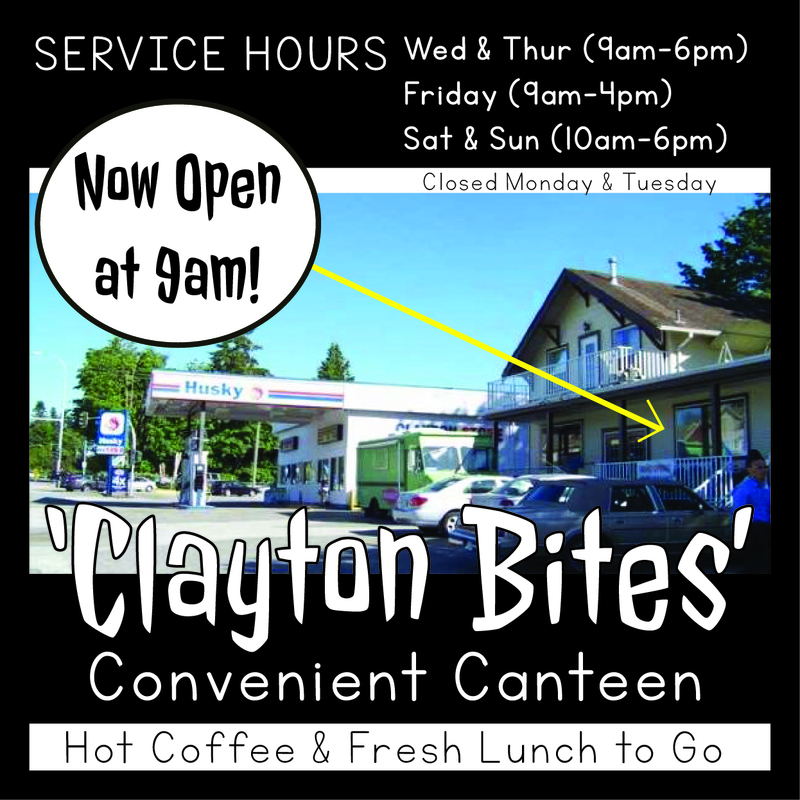 Clayton Bites has NEW SPRING HOURS, come visit & enjoy our growing creekside canteen! Take advantage of Combo #1, leave with a fresh coffee or tea and a pair of sammys with a snack to eat at lunch for $9.50 tax in. Sit ‘n chill with a bowl of Cereal, we’ll always keep three on hand to choose from for $3 a bowl. In a hurry? We have hot oats with fruits and nuts blended up into cups all ready to go. Pick up one of them with a coffee for $5.00. Love our valuable pricing? Centric style is totally down to earth. We prep fresh ingredients, are efficient with our systems and don’t spend an arm and leg on fancy packaging just to pass the cost onto you. Don’t forget to bring a mug, your coffee/tea will cost .25¢ less AND you’ll get a stamp for remembering re-usables. NOW OPEN AT 9:00am, follow the handpainted signs to our cozy, independent space and then Come on In…We’re Awesome!